Location excellent,private and secure. A well kept villa with everything you could want. It is ideally placed only 10 minutes walk from the village centre but is located in a tranquil spot amongst olive and citrus groves. It is very well equipped and comfortable. Polis is lovely. Lots of lovely little Tavernas and very little tourist development. The beach is only 20-25 mins walk away. The design of the villa and the estate. The location - very peaceful, and the countryside - staggeringly beautiful. Very interesting too, given the proximity to the UN Buffer zone, the invasion of Kokkina in 1964 (ten years before the big one) and the bombing of Polis. Wines like Shoufas Maratheftiko a match for many Pinot Noirs. Quiet location, walk distance to the Polis center. Private and common pools. Вилла расположена в тихом, маленьком поселке, практически в городе, в окружении деревьев. До городского пляжа 4 минуты на машине, выгодно отличается от вилл у моря - отсутствием москитов. Идеальное место, для спокойного отдыха. Есть все необходимое, вам остается только покупать продукты, которые вы можете готовить, в том числе и на мангале рядом с бассейном. Есть место для парковки. Die "Villa" liegt in einer ruhigen Wohnanlage. Zu Fuß erreicht man in 10 min das Stadtzentrum, wo viele nette Tavernen sind. Lock in a great price for Lemon Grove Villa – rated 8.5 by recent guests! One of our top picks in Polis Chrysochous.Boasting a private pool, Lemon Grove Villa is a detached villa set in Prodhromi, a 10-minute walk from the picturesque central square of Polis and a 5-minute drive to the nearest beach. It offers a private pool, free Wi Fi and off road parking. There is a dining area and a kitchen. A flat-screen TV with satellite channels and DVD player, as well as an iPod docking station and a CD player are offered. Other facilities at Lemon Grove Villa include an outdoor pool. 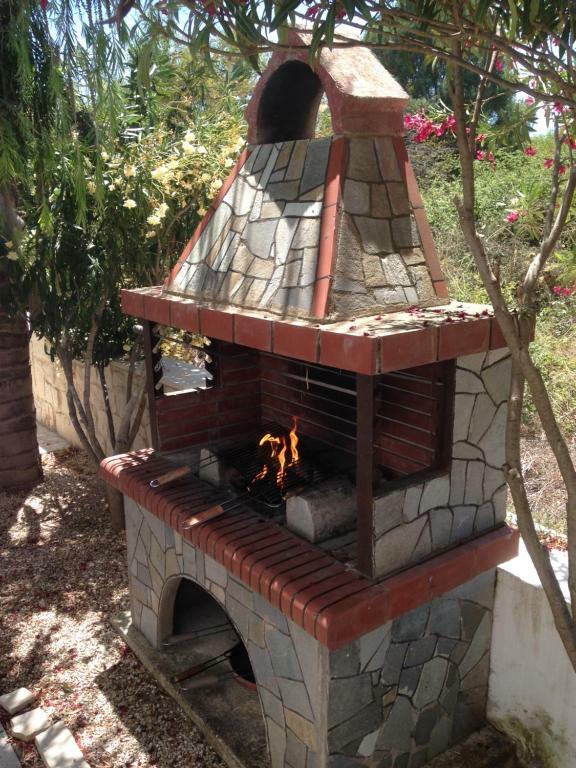 Coral Bay is 12 mi from Lemon Grove Villa, while Kakopetria is 27 mi from the property. 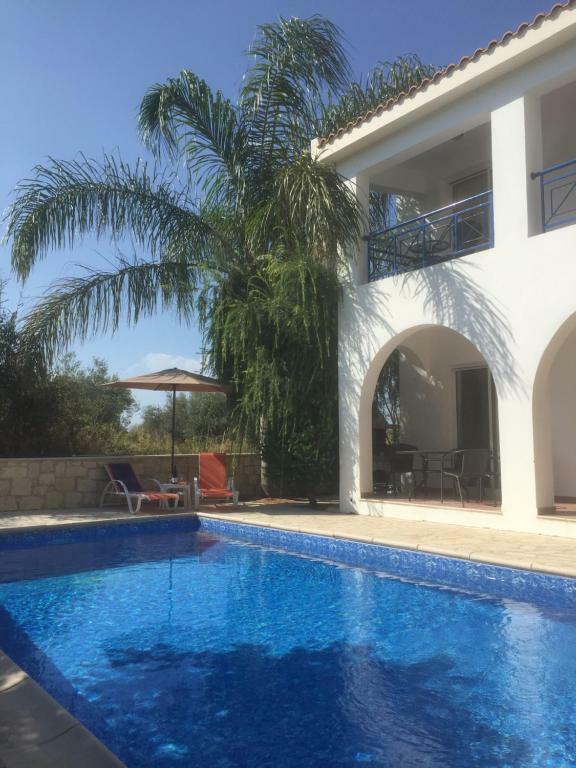 The nearest airport is Paphos International Airport, 22 mi from Lemon Grove Villa. 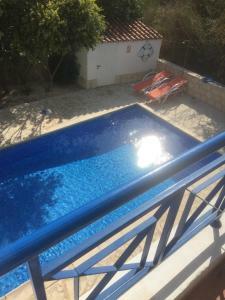 When would you like to stay at Lemon Grove Villa? This villa has a balcony, kitchen and tile/marble floor. House Rules Lemon Grove Villa takes special requests – add in the next step! Please inform Lemon Grove Villa of your expected arrival time in advance. You can use the Special Requests box when booking, or contact the property directly using the contact details in your confirmation. Possibly needs a little bit of TLC in the outside areas but very little really. The inclusion of interior photographs on the webpage would make it more attractive as the inside space is very nice but I was a little anxious when I was booking it what it would be like. Beds are not the best, air-conditioners are very noisy and low efficient. Also very loud doors upstairs, you wake up everyone going to the shower. Water taps have to be replaced/adapted for low water pressure. Internet connection could be faster (10 Mb now).